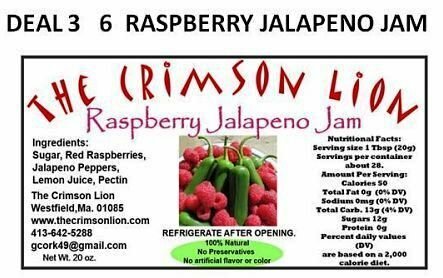 Deal Pack No.3 Our best selling Raspberry Jalapeno Jam is offered in a lot of (6) jars. This deal is a good one especially for those that love this product. For those that have not tried this Jam it is definitely worth the purchase.